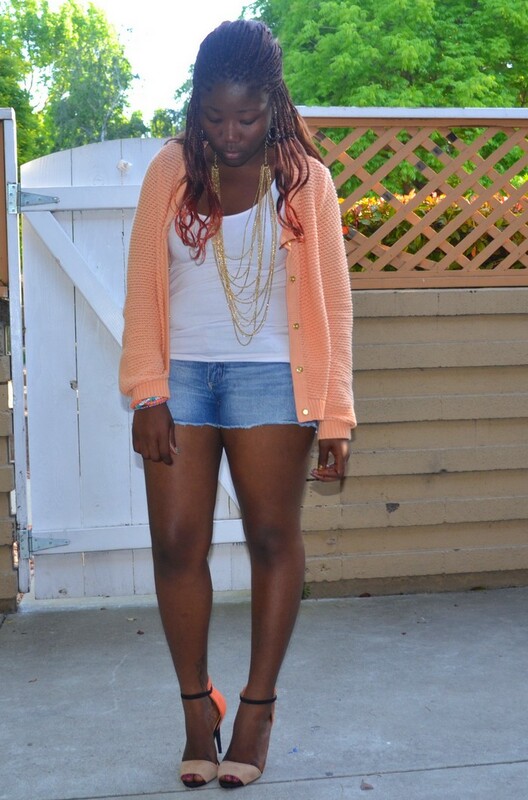 Anyway, wanted something simple, so I paired my favorite cardigan and shoes with a simple white top and denim shorts! Quoi qu'il en soit, je voulait quelque chose de simple, donc j'ai porté mon gilet préféré et chaussures préférés avec un simple haut blanc et un short! Comment allez-vous profiter de votre été? lovin the shoes, wooow, if only the internet had developed to the point we can get things straight from the screen, lol. you have a good sense of style that seems to shine in every picture. inviting tou to visit my blog : misstatybliss.blogspot.com. Stunning! I've had my eyes on those shoes for a while, love it! wow, I love this cardigan on you. the colour is just amazing! Very cool cardigan. The color truly is stunning. I can see why it's your fave! 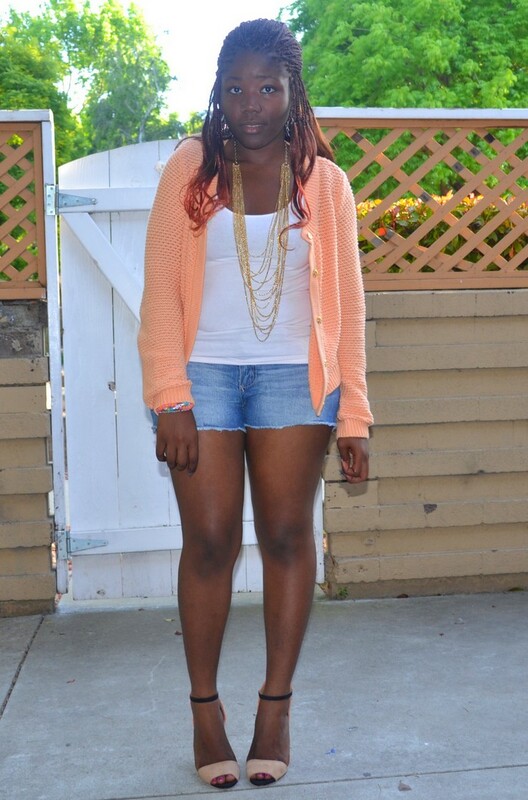 nice one, the simple outfit become great with that orange cardigan! Lovely look! I love your shoes...! Jolie, j'aime ton gilet dont sa couleur :D! TU es jolie comme un coeur, j'aime beaucoup ton gilet! !